We have planned for years to see as many national parks as we could once we retired. The we not only includes Soko, but also my sister (with me in the picture above) and her husband John (Mini). We have been to three and they turned out to be our most loved vacations. Some of the most beautiful sites we have ever seen have been in these parks. We enjoy everything about spending the day out in nature from the hiking to stopping to appreciate a gorgeous wildflower. But there are 59 national parks. (Number 59 - Pinnacles National Park is not on some older lists.) That means we have 56 parks left to visit. Although we really would like to get to all the remaining parks, we know that might be impossible, so we had to get get this number down to something more doable. After hours of researching, we have come up with this list of our 12 must-see national parks. We came up with our top 12 by finding lists of best national parks around the web and by talking to friends and family. I went to National Geographic and Fodor's Travel Guide and found their top 10 lists. I was sure those sites would have the very best of the parks on their lists. 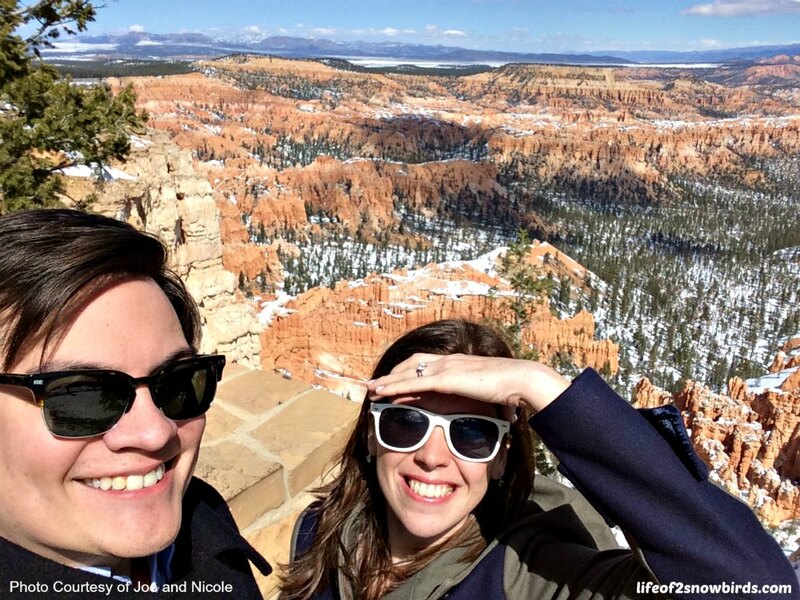 Travel + Leisure's website featured an article about a couple who saw all 59 parks in 52 weeks. That couple came up with a list of parks they felt "every traveler should be sure to see." I used their list. 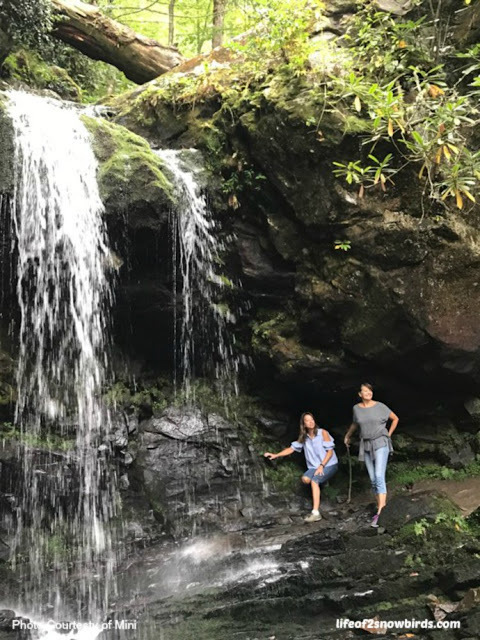 I went to a website called Ranker that polled travelers, hikers, campers and sightseers to create a most beautiful park list. It made sense to check out their list. After looking at all these lists and more and "interviewing" family and friends, I thought we would have a list of 10 must-see national parks but couldn't get it to less than 12. The Top 10 parks, according to most of the websites, are listed below in order of popularity. We have been to three of them. This left us with the first seven entries on our must-see list. After talking to family and friends we had four more to add to the list. 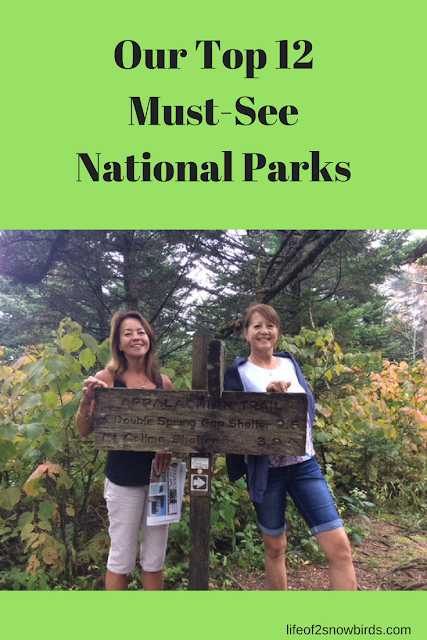 And finally, we added the one park I always dreamed of seeing and that is how we got our Top 12 Must-See National Parks! 1. Yosemite National Park - California - (1) The majority of the sites I looked at had Yosemite at the top of their lists of best parks. Tunnel View is the "not to be missed" sight to see here. Once we get near this vista, we simply park our car and walk over. From here we can see Bridalveil Fall and the granite cliffs of El Capitan and Half Dome. 2. 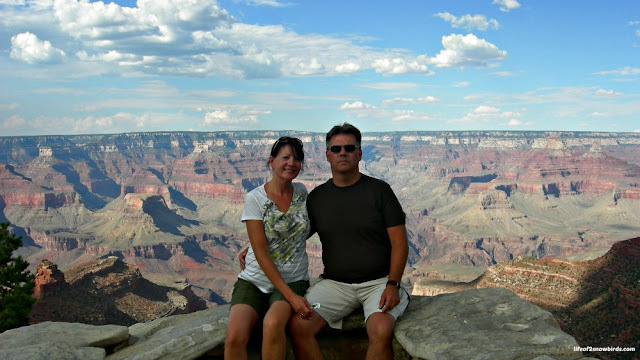 Grand Canyon National Park - Arizona - This is one of the three parks we have been to. It didn't surprise me to see the Grand Canyon on most of the lists and close to the top of those lists. The pictures I had seen of this park didn't come close to the awesomeness of seeing the Grand Canyon in person. It was truly breathtaking! 3. Grand Teton National Park - Wyoming - (2) is another very popular park. 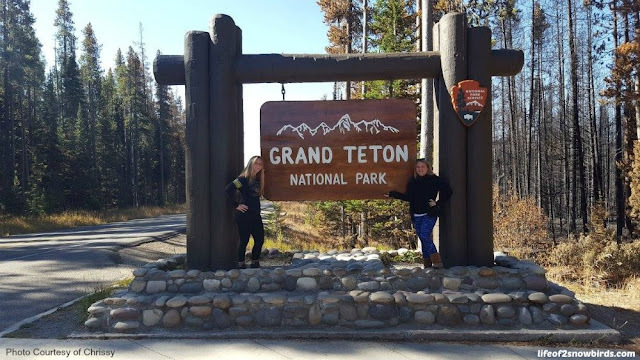 My (very soon to be) daughter-in-law, Chrissy (right) and her friend, Sarah decided to take a Midwest trip "to do some hiking, see beautiful views, try new things and meet new people." 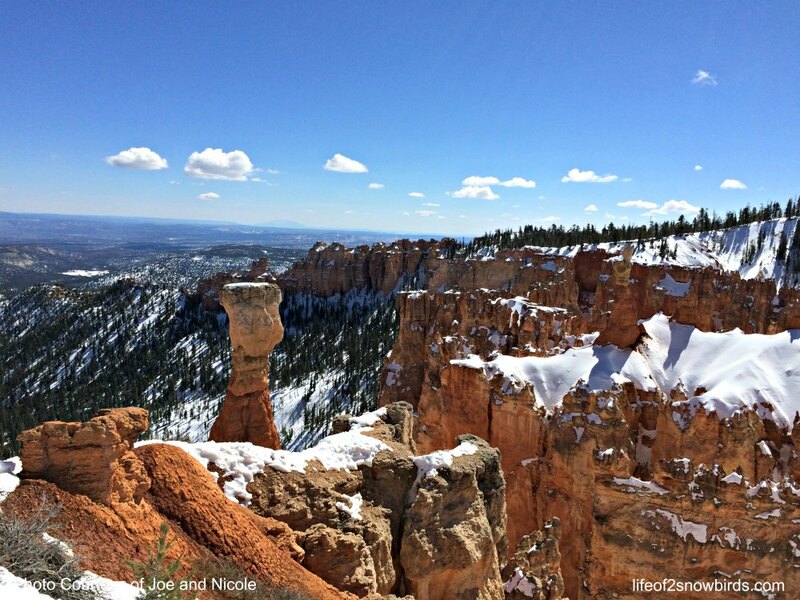 With this in mind, they landed up visiting two of America's best national parks. The first was Grand Teton. One highlight of Grand Teton for them was Inspiration Point in the picture below. The elevation here is 7,200 feet Chrissy told me. We will pose for a picture, when we get to this Point, to send to Chrissy, but I'm sure we will be right side up! 4. Acadia National Park - Maine - This is the second of the three national parks we have been to. 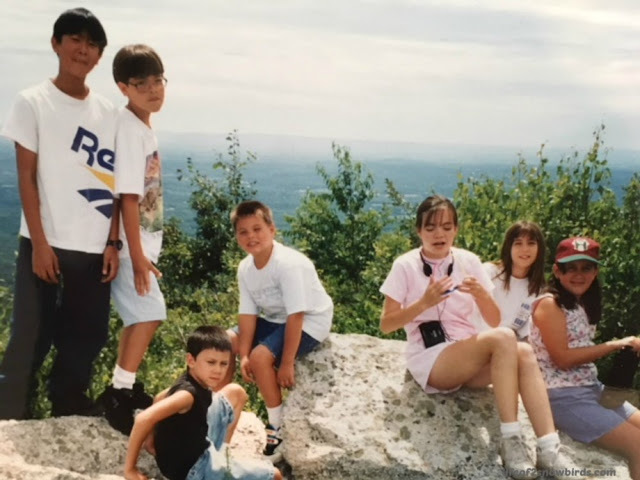 Every summer, for many years, we took the kids camping along with 5-7 other families. We still talk about how our Maine trip was one of the best. We spent almost the entire vacation hiking in Acadia. The kids loved it. I think my favorite day of this trip was when we bought some steamed lobsters and had a picnic in the park. This park is gorgeous and the views are spectacular. I was not surprised to see Acadia on so many lists. 5. Glacier National Park - Montana - (3) When I was compiling this list, I asked for suggestions from our friends, Penny and Bill. They have been to more parks than anyone else we know, a total of 44 so far. One of the big reasons they go to the parks is to get a glimpse of the wildlife. Glacier National Park is the perfect park to go for that reason as they have a diverse collection of animals ranging from mountain goats to grizzly bears. Penny and Bill told us that they visited the park in the fall when the wildlife is most active. They saw not only the mountain goats and grizzly bears, but also moose, wolf and elk. I hope we are that lucky when we visit although I may just be as happy not to bump into a grizzly! 6. Rocky Mountain National Park - Colorado - (4) I have wanted to visit this park ever since I first heard the song Rocky Mountain High by John Denver. (Yes, I am that old!) He made it sound heavenly! 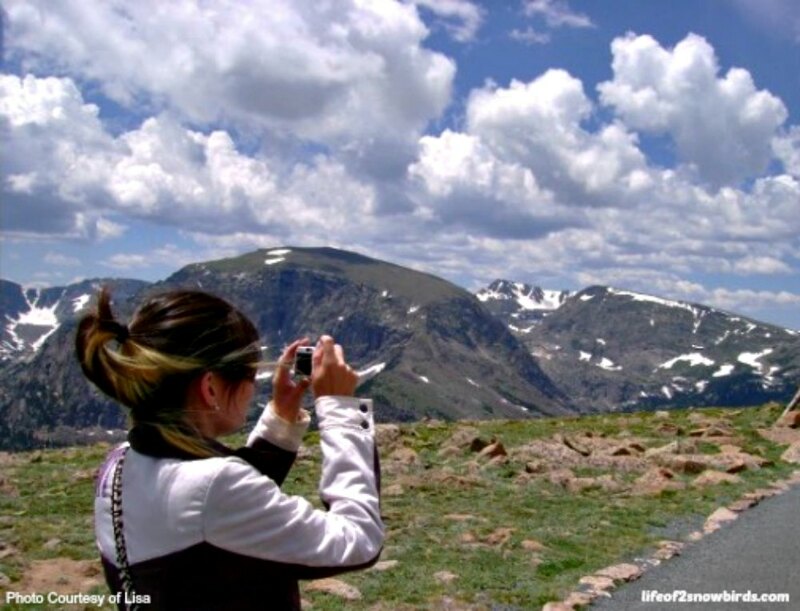 My daughter, Lisa, has been there and she tells me the thing I have to do there is to take a ride on the 48 mile Trail Ridge Road. The highest elevation on this road is over 12,000 feet! On the way up there, we can enjoy thrilling views, wildlife sightings and spectacular alpine wildflower exhibitions. 7. Olympic National Park - Washington - (5) The attractiveness of this park is it's diversity. In it's million acres, you can find glacier-capped mountains, rain forests and over 70 miles of coastline. I would love to spend the day here strolling the shores of Lake Crescent and walking along Rialto Beach watching the waves crashing onto offshore islands and, if we are lucky, spotting an eagle flying overhead. 8. Yellowstone National Park - Wyoming, Montana, Idaho - (6) This was the second park Chrissy and Sarah visited on their Midwest adventure. 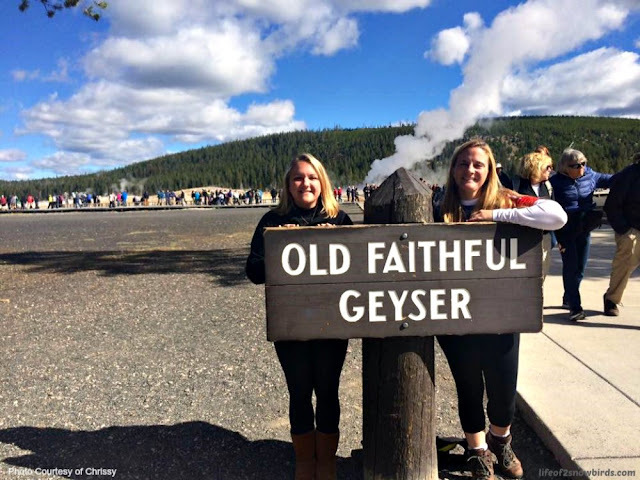 Chrissy, shared her pictures of one of the best known parks in America with the best known geyser anywhere, Old Faithful. They found another geyser on one of their hikes through Yellowstone, picture 2. Chrissy attached a warning here: "Caution: Do not touch - extremely hot. Do not breathe in - extremely smelly." 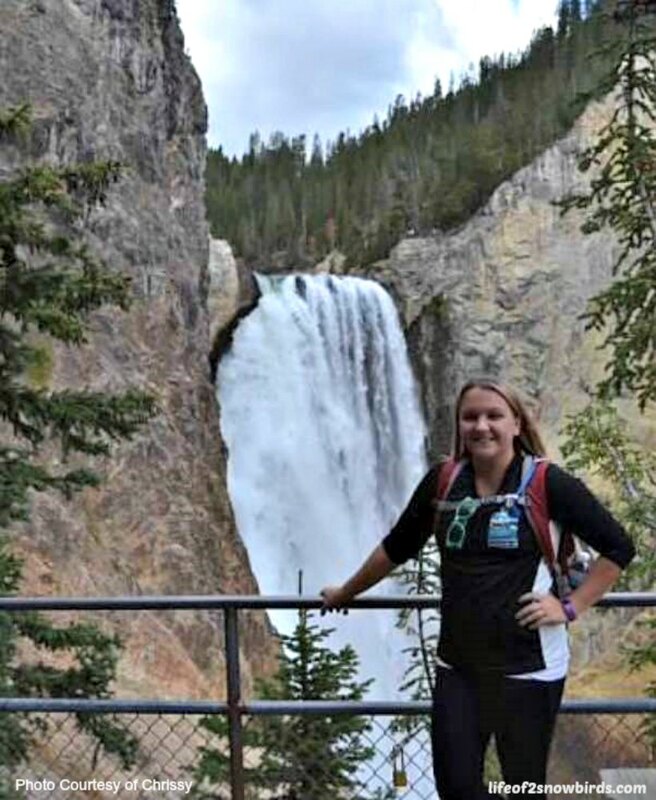 To get to the beautiful waterfall behind Chrissy, in her third picture, they hiked Uncle Tom's Trail which she told me included 300 stairs down to the falls. "But also meant 300 stairs back up!" 9. Great Smoky Mountains National Park - Tennessee, North Carolina - We first visited this park as part of a family road trip that brought us from our home in New York, through Pennysylvania and West Virginia, to Indiana to have lunch before we made our way to Dayton, Ohio for a bowling tournament that me and daughter, Lisa were competing in. From there we were meeting our friends in South Carolina for our annual camping trip. So we drove from Ohio to Kentucky and into Tennessee then through the Great Smoky Mountains to North Carolina and into South Carolina. This road trip currently holds the record as being our longest. Our second visit to this picturesque park was with my sister Sandie and her husband, Mini. We spent a long weekend hiking a couple of the many trails throughout the park. You can read more about the fun we had on that trip here. 10. Zion National Park - Utah - (7) The pictures I have seen of Zion National Park and especially the ones of the Emerald Pools makes me so excited about planning a visit here. There are lots of hiking trails at the Emerald Pools, ranging from easy to strenuous, to choose from and they all lead to beautiful waterfalls. Also, the massive sandstone cliffs reaching up to sky will definitely be an amazing sight to see I'm sure. The next four parks were highly recommended by family and friends which is the reason why they made our list. I did see them listed on the lists of some of the websites but not as often as the ten above. Bryce Canyon National Park - Utah - (8) - My son, Joe and daughter-in-law Nicole recommended we visit their favorite national park of the ten they have been to. They visited the park in early March so couldn't hike the snow covered trails but enjoyed how the snow added to gorgeousness of the views. There were many scenic outlooks for them to pull into as they drove around the park. We will make sure to be on the lookout for Thor's Hammer (picture 1) and will also make sure we drive to the south end of the road to Rainbow Point as the view there was amazing according to Joe and Nicole. 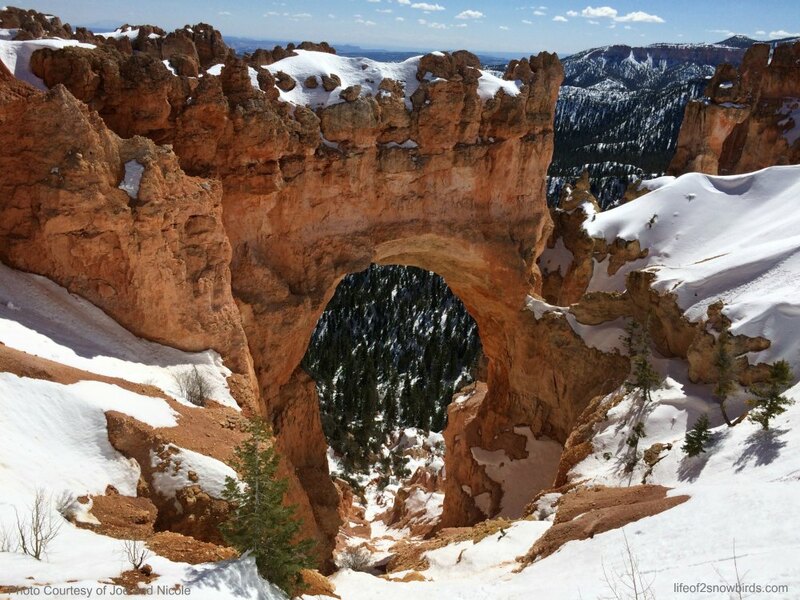 I will definitely be looking for Natural Bridge, picture 3. Now that's something you don't see everyday! Sequoia & Kings Canyon National Parks - California - (9) - are jointly listed by the National Park Service because they actually are connected and made our list because it is the favorite of our friends, Penny and Bill. If Sequoia & Kings Canyon are their favorite of the 44 parks they have visited then we can't miss this one. Bill loved how the giant sequoias made Penny look like "she was about the size of a mosquito" next to them. Another highlight in these parks for them were the waterfalls. We were told we can't miss Roaring River Falls, Mist Falls and Grizzly Falls in Kings Canyon. Another plus that put these parks on the top of their list was that there are about 1/10th the amount of sightseers here than what some of the other parks have. Arches National Park - Utah - (10) and Canyonlands are also favorites of Penny and Bill and made our list once they told us the two parks are only 26 miles apart. Arches is appropriately named as there are 2,000 natural sandstone arches throughout the park. One we will be on the lookout for is the world famous (at least that's what I read but I have never heard of it) Delicate Arch. Also, there is a rock formation named Balanced Rock which is a massive rock resting on a narrow pillar. It looks amazing in the picture I saw. I am really looking forward to seeing it one day. Canyonlands National Park - Utah - (11) is a park in the heart of southeast Utah's high desert. Here we will enjoy views of colorful canyons from the many overlooks we can stop at as we tour the park in our car on a paved road. We also have our choice of hiking trails of varying length to choose from to explore more of the park. Redwood National Park - California - (12) - I can't believe that this park wasn't on any list I found. It made our list because every June, for 16 years, I sang the song, This Land Is Your Land along with other teachers and about 60 four and five year olds on graduation day. As I clapped and sang "from the Redwood Forest to the Gulf Stream waters" along with the group I would get a beautiful vision of gorgeous, giant trees and imagined that I would see them one day. Hopefully that one day will be here very soon! That's our National Park bucket list. Which one will end up being our favorite? We would love to hear about yours! We have so many wonderful and beautiful national parks. We notice more and more people are visiting and taking advantage of getting out and seeing these beautiful parks. Found you on Wonderful Wednesday Link Party. Yes. I noticed that too! I recv'd a National Parks Pass for Christmas so this year I can get into ANY National Park for free. Adventures and road trips, here I come! What a great Christmas present! Enjoy!! 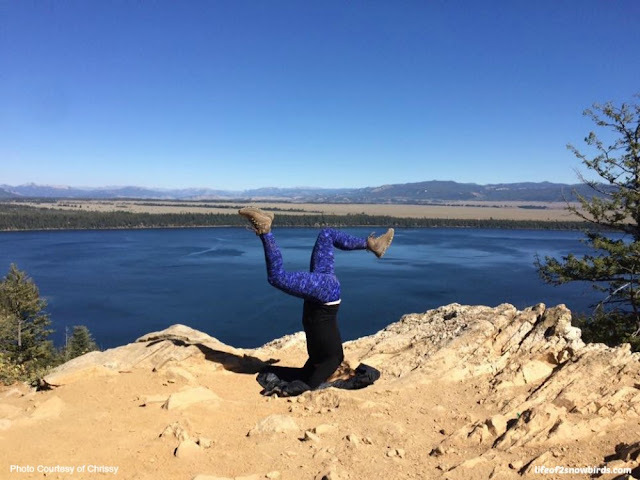 I'd like to add Crater Lake to your list - beautiful place with an interesting history! Great post - made my own bucket list from it! Thank you so much for your suggestion. I will definitely look into Crater Lake! I was so surprised not to see Redwood on the lists I looked at! Nice list of national parks. I hope we can get to a few soon. Thanks for sharing at Party in Your PJs! Thanks! Hope you can get to all the parks on your list! Very nice. You forgot the biggest- The Golden Gate National Recreation Area. Thank you so much for sharing! I never even heard of this park before. I will definitely be looking into it! I've been to several of the National Parks you picked for your top 12 list and would love to see the others. Thank you for sharing your list at Snickerdoodle. I'm sure you had a great time. Hope you get to the rest of them! 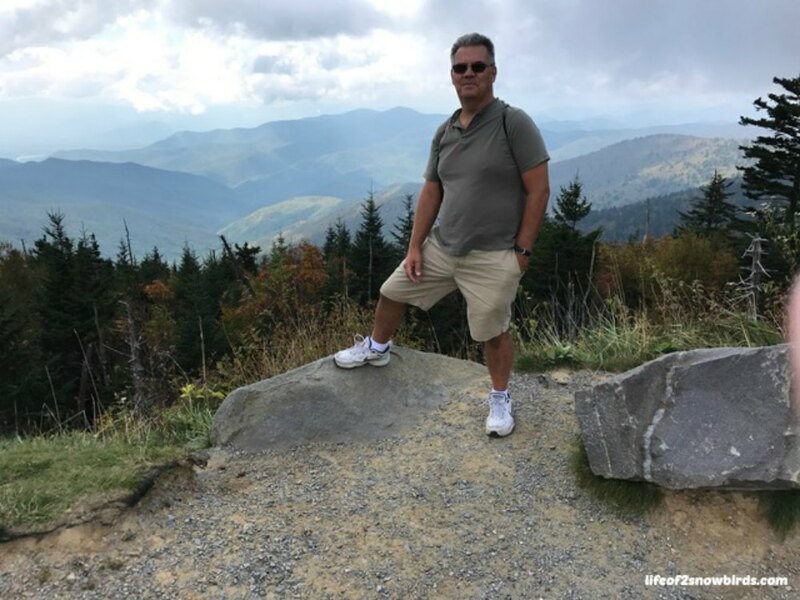 I've been to the great Smokey Mountains and have several others on my Bucket List. 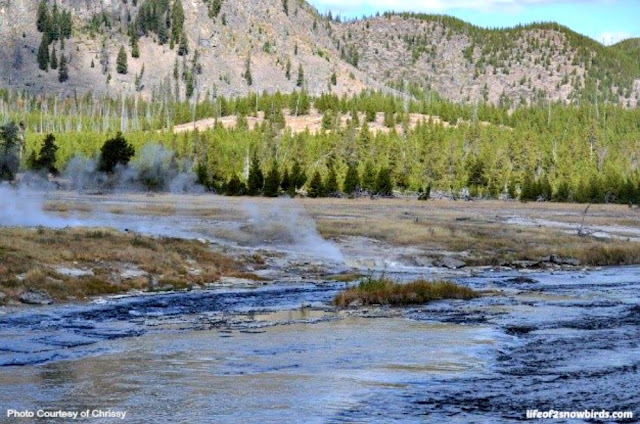 Yellowstone is at the top of the list. Thanks for sharing on Sunday's Best. Yes! Yellowstone is certainly a must see! !